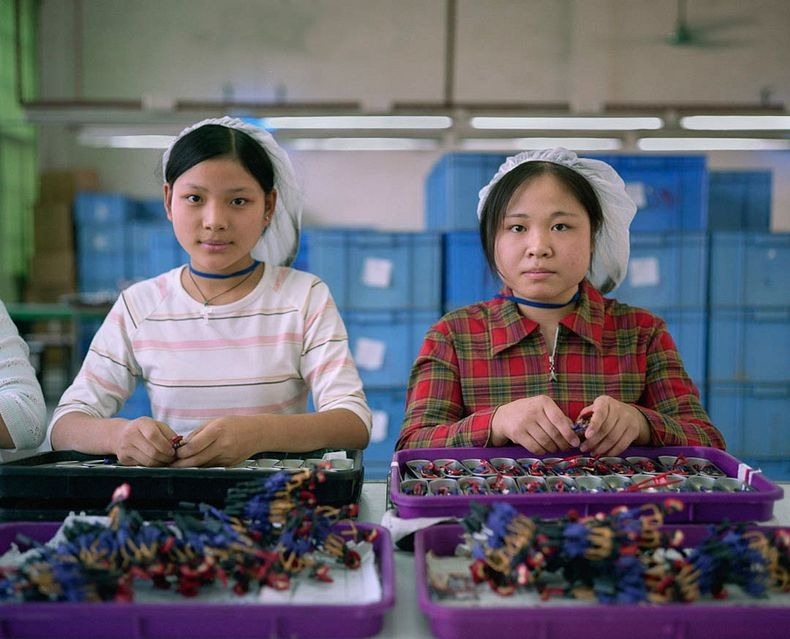 Made In China: The End? 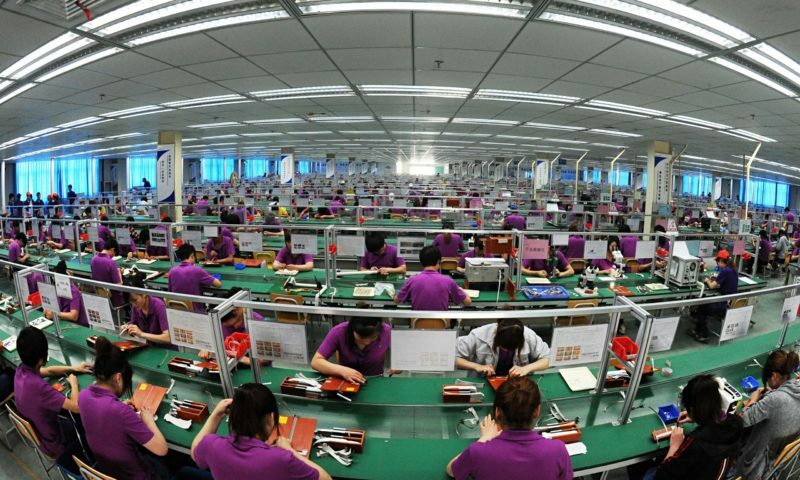 China has been known as the workforce of the world in mass-production at the lowest cost possible. However labeling products with ‘Made In China’ is increasingly becoming more and more expensive. The cost of labor is increasing, with Chinese workers demanding higher pay and better conditions within the framework of the country’s economic success. This in turn, has manufacturers taking on a ‘‘China plus one’’ approach, where they produce in a variety of cheaper Asian countries, including Vietnam, Thailand and India. 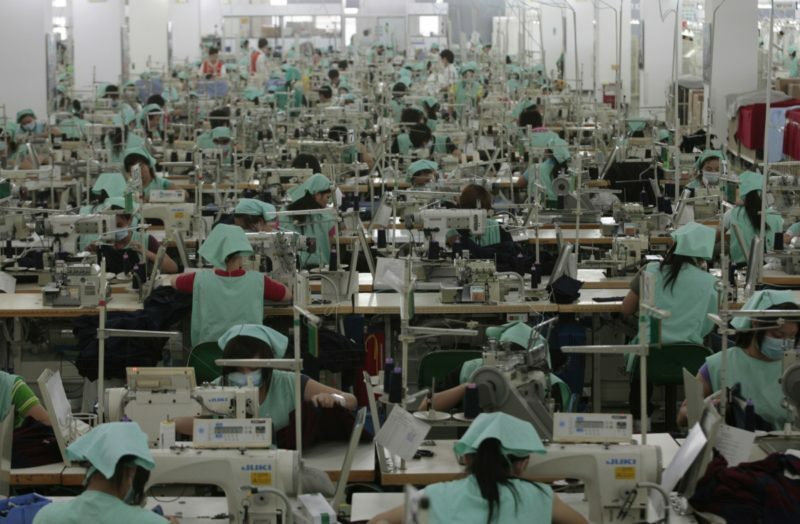 Companies are now seeing that China is more expensive in comparison to other countries when producing large amounts of clothes, shoes, car parts and electronics, and therefore are attempting to diversify where they produce mass quantities of cheap products. However not all companies are leaving China, since moving such a big factory is no simple feat. Nike, Ford and Intel have chosen to stay. But many are becoming less dependent on China. And not only for clear cut costs of labor reasons, but diversifying their factories could also reduce their political and geographic risks, ranging from a wide variety of factors, including taxes, governmental changes and natural disasters. And even though this appears to be harmful for China’s economic growth, experts believe that this transition is part of a healthy, needed change in the country’s manufacturing sector. They argue that it helps China move towards a more sophisticated manufacturing, with higher quality products, as well as to develop a stronger workforce. Daniel Trefler, a professor of business economics at the University of Toronto says that China’s economic policy has been taken over by manufacturing, and needs to change in order to them to open up their economy to the rest of the world, and thus become the world’s largest economy. Today it is in second place, following the United States in first place. He believes that change in China’s economy will force a stray away from being low-wage competitors, and will become a more innovation-based economy. Taneli Ruda, senior vice president and managing direction of Thomson Reuters OneSource describes China’s manufacturing shift as a natural transition for a growing economy, and notes that Japan and South Korea also had similar changes occur in the economies, although at smaller levels. Ruda also notes how the ‘’Made in India’’ campaign is being pushed by Indian Prime Minister Narenda Modi, in the hopes of boosting their manufacturing base. General Motors has committed to doubling its presence in India, with a $1 billion investment to have Chevrolet vehicles in the country, calling it the ‘Make in India’ government program. GM believes their market for passenger vehicles in India will grow to approximately eight million units in the next decade. The GM International Operations and GM China vice-president Phil Kienle says that they plan to be part of the growth, saying that the goal of the India investment is to double its market, and make India an export hub. They see this opportunity as one that cannot be passed up, for both the domestic market and for export markets. In 2013, GM split into GM China and GM International, claiming that this was done to be able to focus more in on Middle Eastern markets, in countries such as Africa, India, Southeast Asia, Korea and Australia. GM says that it’s strategy is to invest $5 billion to develop a family vehicle to meet the new needs of customers. Kienle says that GM’s investment continues to perform strongly in Chinam but as they aim to take the company’s growth a step further, they need to invest in other growing markets such as India. The diversification to other Asian nations also creates huge opportunities for countries such as Vietnam, Malaysia, Indonesia and India, which they have been trying to obtain through tax incentives for business to stray away from China. However it is important to keep in mind that China is not simply watching these changes happen, even if they are occurring for their best interests. China has established its own ‘’New Silk Road strategy’’. This set of trade and infrastructure agreements has the goal to foster free trade with its neighbouring countries. China is also attempting to shift the manufacturing focus to lower cost regions of the country, which have not experienced the same amount of economic growth as the higher cost coastal region. Furthermore, they are trying to train their people to be a stronger workforce, in order to offer companies higher skilled workers. Companies continue to do business in China and still view it as beneficial. Many companies are teaming up with Chinese companies to aid them in selling in the local market. In additional, with more and more Chinese middle class, this also means more clientele for companies selling locally. So all things being said, it is not the ultimate end of the label ‘Made In China’. However it definitely is slowly becoming less dominant, and for the best. Other labels might start becoming the new norm on your cheap products.